Sound familiar? I recently talked to two such operators who asked me that question incredulously. One of them wondered when the people around him would operate up to standard. Another bristled at an internal description of his operations as “fine” because he felt that “fine” — as in “good, acceptable, satisfactory” — was not nearly good enough for his guests and his business. The truth is that others will never see what you see — any more than your neighbor will notice as many details about your child as you will. If you want to increase how often your vision for your guests’ experiences comes true, start hiring the right people. Inspire them. Explain to them what your idea of success is. The best operators develop systems of training and accountability to reduce the number of events when they are managing by exception. They constantly teach and measure, and talk about standards, expectations, and truly serving guests. However, this is truly not the hard part of running restaurants. Fantastic operations are easier to create than developing a concept, menu items, a décor package, a brand, and a growth strategy. Operations is something the industry has already figured out. The barrier is not the knowledge of how to do it; it is the experience and will to do it. 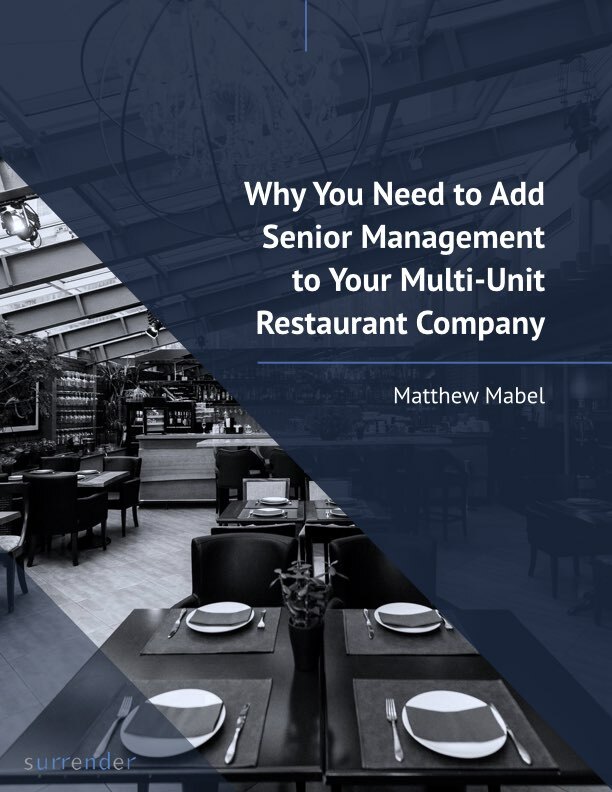 Successful independent multi-unit restaurant groups are typically under-invested in hiring, training, and development — at least at the beginning. When they begin to focus on these things, they can substantially reduce the number of instances that cause them stress or frustration. Operations are not “fine”; they are “fantastic”! And when they are fantastic, that increases guest satisfaction, revenue, profit, and net worth — and reduces your stress level. 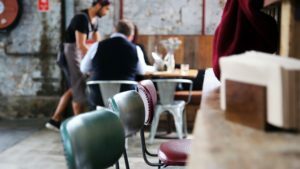 Identify those head-scratching moments when a detail is missed, an opportunity is lost, or a guest does not have the absolute best experience possible. Identify the root causes of these exceptions — do they come from picking the wrong people, failing to establish standards, or a lack of training or accountability? Break down each of the relevant items in #2 to become initiatives to improve your organization, and don’t be afraid to invest money in them — that money has a great ROI with your guest. Assign your management teams tangible goals in these areas with realistic timelines. Follow up and implement.